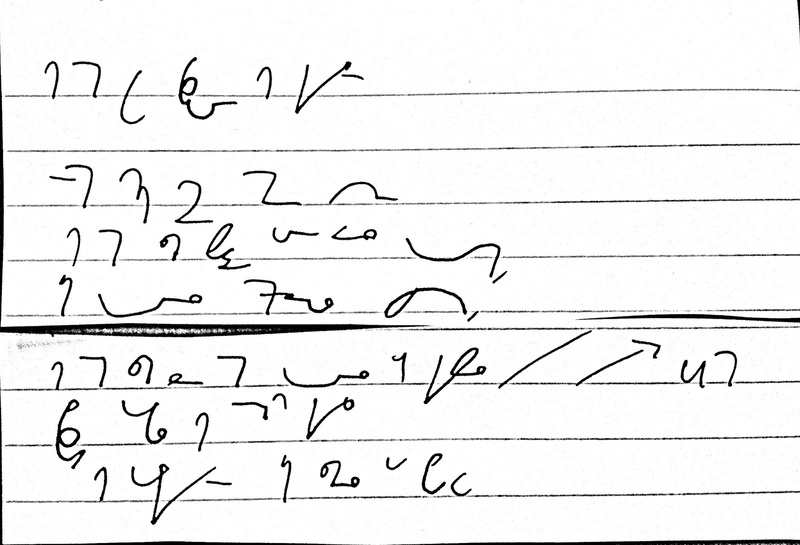 Practise Teeline shorthand to music. NCTJ Awards for Excellence 2014 shortlisted. One of the late Lan Campbell's most famous songs is a smooth steady number for a gentle Teeline workout. There are a couple of lines which are hard to catch and a few outlines which are easily confused which is why it's always a good idea to read back your transcription straight away to firm up any unclear or ambiguous outlines while they're still clear in your mind. Thanks to Teeline Tweets for suggesting this. There are some complicated lyrics here and some words you're unlikely to meet in any exam. There are also several words you almost certainly will. The lyrics are delivered clearly and at a suitable pace to make this a challenging but achievable song. Another legend lost in 2016! It's a quite hard to keep up with the energetic funk of this classic song from Prince but there are several common outlines and word groupings which transcribing these lyrics will certainly sharpen up. After an easy lead-in this disco classic gets pretty demanding but with plenty of word groupings and special outlines it's worth the practice. Thanks to Francesca Gillett for suggesting this one. In a memory of David Bowie. A short gentle-paced song with a few challenges. Thanks to new Musical Teeline fan Bridget Tanner for this suggestion. No Doubt's early hit goes at a steady pace with plenty of Teeline theory. The chorus races by but you have a few chances to nail it. To mark the centenary of Ol' Blue Eyes here's one of his classics. Smooth, clear and not too fast it's a good one to practise. There are a one or two tricky lines and it's quite a long song which is good for learning to stay focused. I started this blog after finding transcribing song lyrics was a fun way of practising Teeline and because there were few resources for Teeline study online. 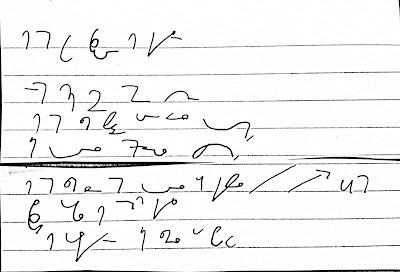 Learning shorthand is rarely fun and there's no escaping the book work and monotonous dictations. This blog is designed to be a supplementary resource for students who have covered Teeline theory and are consolidating this and building speed. Each post has a link to the song followed by lyrics and a sample transcription with useful and tricky outlines highlighted. I hope you find this resource enjoyable and useful and I welcome your feedback at: info at patrickwiddess dot co dot uk. If you've enjoyed Musical Teeline or you're celebrating passing your 100 wpm please consider making a donation to keep it running. You can also support the site and artists featured by buying the songs via the links on each post. Thanks. Teeline Outlines © The Teeline Royalties Partnership. Simple theme. Powered by Blogger.